Well many of us have read what Matthew, Mark, Like and John. Lets now read something, Biblical of a Deciple who actually knew Jesus. Paul and the 4 writers never knew Jesus directly. So they never met him. 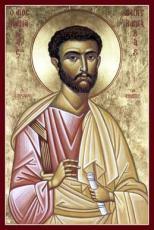 St. Barnabas, he lived, eat, slept, walked and breathed with Jesus. Who to have known Jesus more then any anyone else in the New Testament then Barnabas, none. So why did they not add this Gospel of Barnabas in the New Testament, lets find out.